Feeding your pet dog may sound like a daunting task for most people who live an extremely busy life. The best automatic dog feeders will solve this challenge very intuitively. These automatic feeders will dispense your dog a meal whenever they need to eat without much monitoring needed from your side… and you don’t even need to be home! Dog ownership is a big challenge when you factor our busy lives in. Getting the best automatic dog feeder will help you lighten the weight on your shoulders. It will serve your dog(s) regular daily meals, scheduled precisely, with your favorite type of dog food. Some are built to prevent bloating and ensure that they eat just right – not too much and not too little. Little warning before we get started: provide your dogs with fresh water at all times, whether you are home or not. 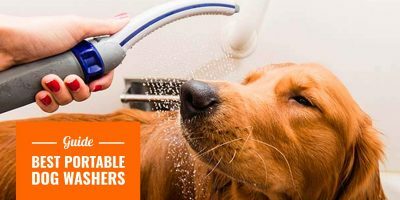 See our review of the best dog water fountains. There are two main types of automatic dog feeders based on how they work: gravity feeders and electronic feeders. This type of feeder refills the bowl as soon as the bowl is empty. It’s great for pet owners who sometimes forget to feed the dog. You will also never experience any technical difficulties since this type of feeder lacks the programming features the electronic feeder has. The downside of this feeder is that it can cause over eating which can result in unwanted health issues. 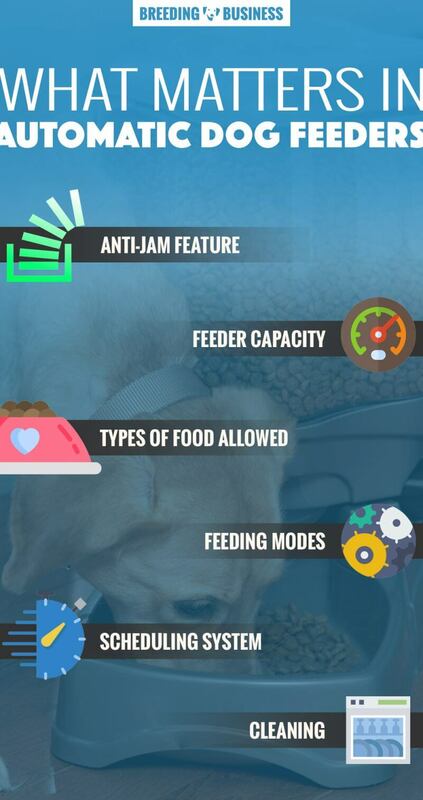 When choosing amongst the best automatic feeders for dogs, keep these features in mind in order to make the right decision: capacity, reliability, anti-jam mechanism, wet and/or dry foods, scheduling, etc. If you want more control over your dogs feedings, using the electronic dog feeder would be best. This type of feeder allows you to control portions and feeding times. Best for busy pet owners always on the go as well as dogs who need to watch their weight. 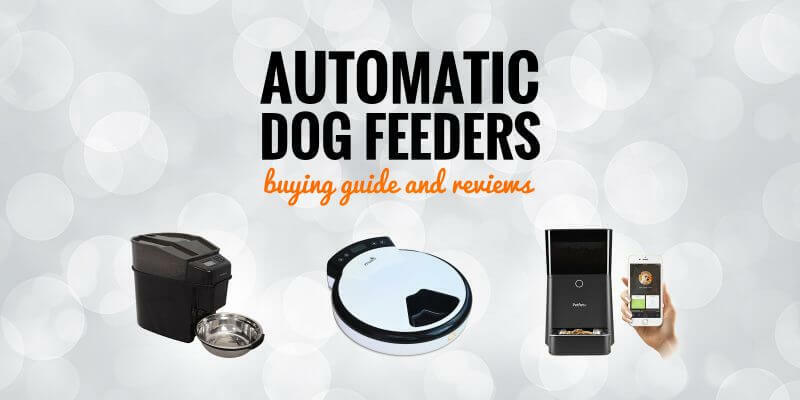 Choosing the best automatic feeder for dogs may sound like a daunting task, but as a buyer and a pet owner, you should consider the following factors to make your decision. Food jamming can be a huge enemy when it comes to automatic dog feeders. You have to ensure that there is a safety mechanism that gets food out of the way to prevent jamming, such as a nylon that lubricates the unit to keep food from getting jammed into the feeder’s exit point. If the antijam mechanism isn’t working or is purely and simply inexistent, you are putting your dog at a high risk of skipping meals. It is very problematic and dangerous when you are leaving your dog alone for an extended period of time. The feeder capacity refers to how much amount of food can be dispensed by the automatic dog feeder. They usually have up to 10 liters of capacity in their storage area, which can be easily dispensed onto the dog feeding bowl of your choice. Of course, you have to match the feeding bowl’s capacity to the portion you have set to the automatic dog feeder to avoid over-dispensing the food. While it is true that a lot of automatic dog feeders are usually meant for use with dry dog food, some feeders may also be used with wet food, or even homemade dog meals. In addition to that, some may also accept ice packs to keep perishable dog foods as fresh as possible when not being consumed just yet. In some cases, some automatic feeders also do not allow big kibble since it might get stuck and jam in the feeder. Most automatic dog feeders can also have a manual feeding mode so that you can choose when to feed your dog. This is ideal for pet owners who want to give their dog some time for light snacks. Some high-end products give you full control using your smartphone so you can trigger a quick impromptu meal. You should consider the scheduling of the meals dispensed by the automatic dog feeder. Most feeders have timers that will schedule feeding on one specific time of the day but more expensive ones will let you set the schedule for many different hours of the day, each with a different portion. Usually, feeders can be set to 24 hours of repetitive feeding programming so that it will cycle every single day without fail. 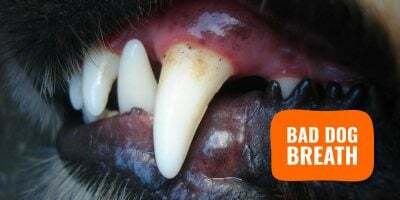 Cleaning and maintenance is important for any automatic dog feeder; regular cleaning has to be done by the dog owners to avoid the development of bacterias. It should be easy to take apart so that you will be able to clean it up easier. A big plus factor is that it can be dishwasher-safe. Another good design choice is that the lid can be tinted so that the dog food will not get exposed to sunlight too much so the dog food won’t be spoilt. 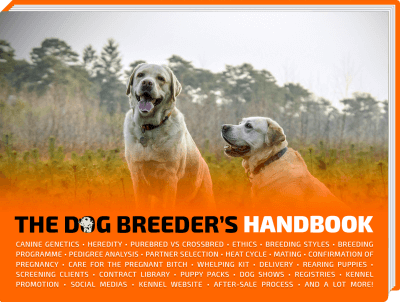 You will want to find a feeder with easy programming techniques as well as features that will benefit you and your pup such as controlled portions or feeding times. An automatic dog feeder that is sturdy enough so it won’t tip over is essential and you will also want to make sure the feeder is simple to clean. In our opinion, this is the best automatic dog feeder in this review — it stores up to 24 cups of dog food and operates on several smart feeding modes! Use the slow feed mode to slowly dispense the dog’s meal over 15 minutes; ideal for gulping and fast-eating dogs. You can schedule up to 12 meals per day and decide on the portion size ranging from 1/8 cup to 4 cups. The feeder works with dry kibble and lightly moist dog foods and is built to deliver all sizes of kibble pellets. PetSafe is a well-known and respected canine equipment manufacturer, it’s shown here with the great anti-jam system allowing for a problem-free experience. Cleaning-wise, you can easily disassemble this PetSafe automatic dog feeder and put many of its parts in your dishwasher. The removable food bowl is made of stainless steel which prevents bacterias and germs from developing. The PetSafe automatic feeder for dogs runs on four non-included D alkaline batteries and it boasts a sturdy build. When filled up with dog food, it weighs around 10 pounds (or 5 kilograms.) I don’t think a small dog could tip it over, but maybe a giant dog could if very motivated. Because it is a techy piece of equipment, customer service matters and Petnet delivers fast email responses. Their agents seem to have an above-and-beyond attitude which will be very helpful for those who aren’t super comfortable with new technologies. Sometimes you just need an automatic feeder that does the job without too much installation or configuration required. GemPet came up with a very straightforward and easy-to-use dog feeder that can serve up to 5 meals. Each meal can take 240ml for a total capacity of 1.2 litres. This automatic tray feeder lays flat on the floor so it cannot tilt over! Additionally, you can record a 10-second message that will be played at each delivery time so you dog can come running to its delicious meal. You can plug it in or use batteries depending on where you want to place the feeder at home. Because each meal has its own compartment on the tray, you can fill it up with any type of food (dry, wet, homemade) as long as it stays contained in the 240ml meal compartment. The configuration is done using the LCD screen and there are only four buttons so it only takes seconds to get it up and running. 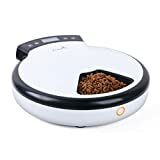 High-duty and virtually life-lasting, this automatic dog feeder is not for the occasional user but rather for professional and frequent use. Little Giant is a manufacturer specialized in farming and industrial equipment so the sturdiness is expected however it’s not the most stylish feeder out there — it’s just extremely functional and practical! It is delivered fully assembled so no need to spend hours figuring things out! Our two feeders have been outside now for over three years. They’re still going strong. We live in South Texas, and the weather can be hot and humid, and occasionally stormy. The only apparent deterioration is on the front doors. They’ve become grimy and discolored. My guess is that’s the area that comes into contact with the dogs’ heads. This feeder is not programmable, it’s an industrial-like gravity dog feeder — fill up the huge capacity tank and dogs can eat when they feel hungry. Because food is always available, it teaches them self-control and if it’s always available, why gorge? If you only have a limited budget to buy an automatic feeder for dogs, I can only recommend this simple 5-meal PetSafe pet feeder. It’s running on four batteries (non included) and the tray is totally dishwasher-safe. Each compartment can receive one-cup of dry or wet dog food. There is a small LCD screen and minimal controls to set up the meal times. Overall a good purchase for toy breeds or cat owners but there are too many reports of failed schedules to make it a must-buy. Perhaps go for a gravity feeder that will be more reliable than this low-end PetSafe product. No piece of equipment is perfect so we just want to tell you, in all honesty, what are the advantages of automatic dog feeders and their disadvantages. Obviously, each situation is very unique but these are our observations on those automatic feeders. 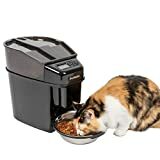 Convenience of Feeding — Most people agree that automatic dog feeders can be easily set up for busy people so that you will be able to feed your dog properly without the worry of missing a meal. 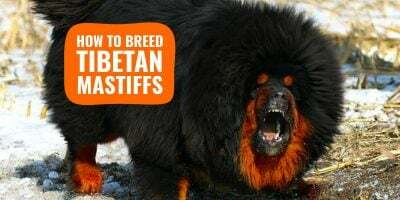 Prevents Underfeeding and Obesity — Some pet owners forget to measure the right amount of dog food that their pet needs, which can subsequently lead to obesity or sometime being underfed. 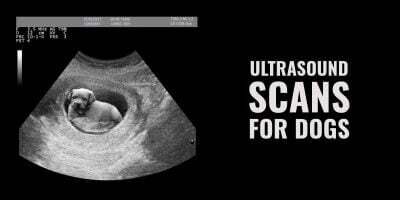 Ideal for Dogs with Delicate Health Conditions — Some dogs can be diabetic or have other digestive or health problems. An automatic dog feeder makes it easier for an owner to set proper portions of a dog’s diet. They Might Malfunction — Most automatic feeders have computers – if the system malfunctions then your pet might miss a meal or get fed twice. Some Aren’t Durable — If you chanced upon an automatic feeder with flimsy material, your dog might break into the feeder to grab more food. Lose Bonding Time with Pet — Most pet owners agree that feeding their dog is a great bonding time which should not be replaced with a machine. Like with most pet products, there is no perfect or absolute best automatic dog feeder — but there is always a feeder that is the most suited to your budget, your dog, and your specific needs. 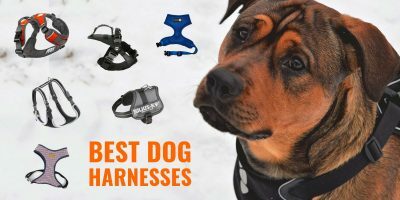 What matters the most is to ensure a perfect reliability because you don’t want to leave your dog starving, especially if it’s an overnight use. If these are way over budget, we have a review of the best food bowls for dogs. I was debating getting one of these for when I’m not home much (ie. busy work days). I didn’t realize there were so many different types! Thanks for the article, you’ve definitely got me thinking! 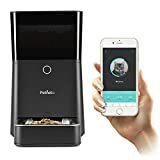 I was planning on getting the petnet feeder since it seems like the best among all and it is easier to control it with your phone. Although I would love if it had a camera in it so that I could see if my cat finished eating his food on time.